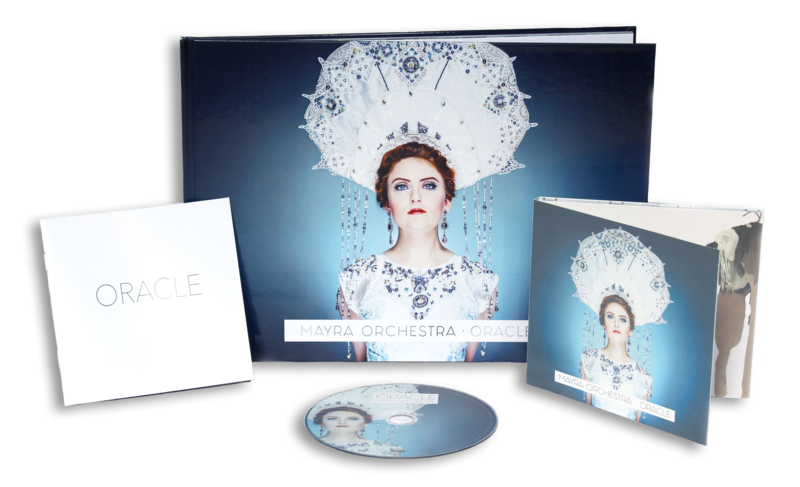 Oracle is the second album by Mayra Orchestra, release March 31, 2017 by Butler Records. The standard edition consists of a digipack with booklet. 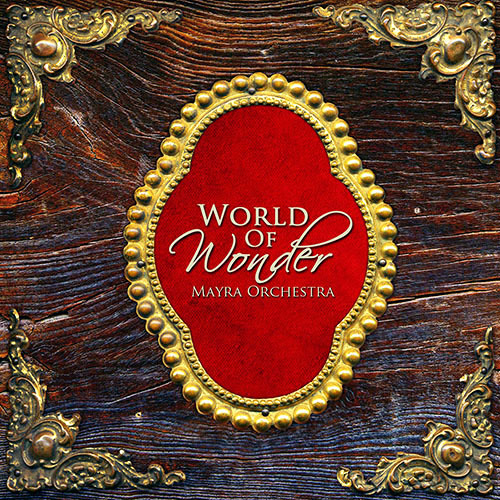 If you would like to purchase an album but don’t have a PayPal account, please let us know by sending an e-mail to info[at]mayraorchestra.com or by using the contact form on our website. 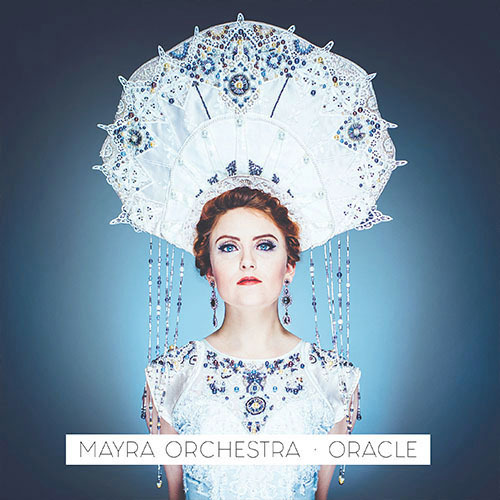 Oracle is the second album by Mayra Orchestra, release March 31, 2017 by Butler Records. 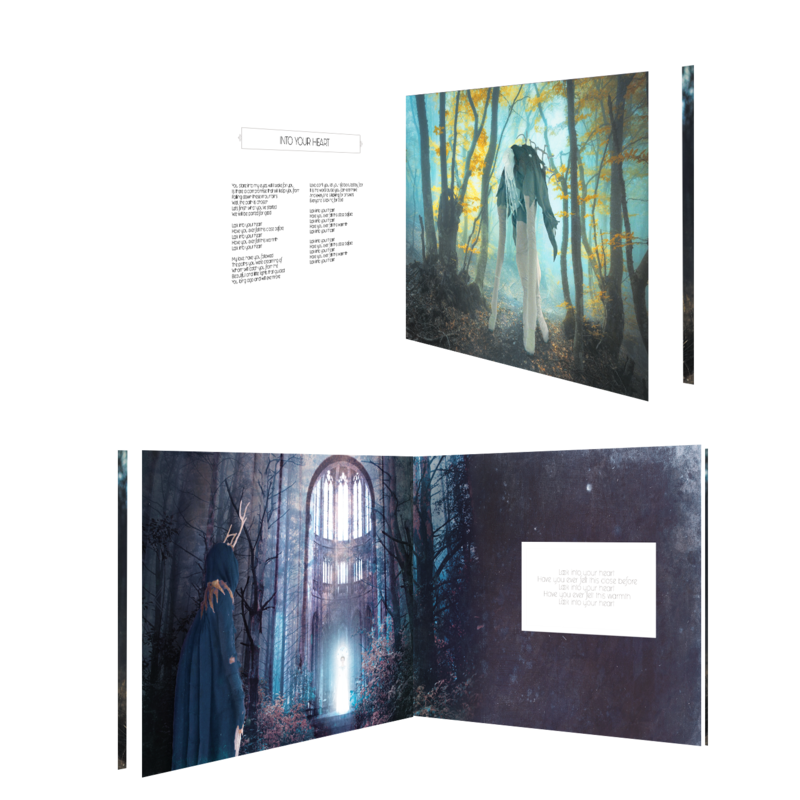 The special edition consists of the standard edition digipack with the CD plus an exclusive, luxury A4 hardcover book with 28 full color illustrated pages. 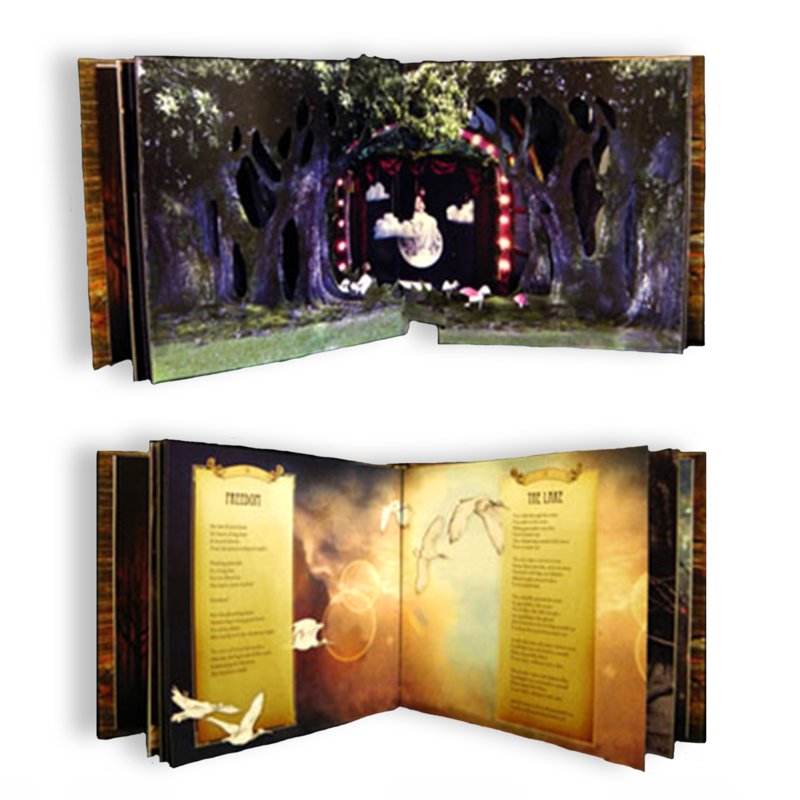 The World Of Wonder album is a deluxe hardcover book containing the CD and a live DVD of the show. The book has 24 illustrated pages with lyrics and and a handmade pop-up. The pop-ups are all made by the band, each one has taken an hour to make. This makes every album very unique. The Masked Woodcreature is the first edition of the Mayra Orchestra Art collection. Made from exactly the same fabrics as the real beast from the World Of Wonder show. 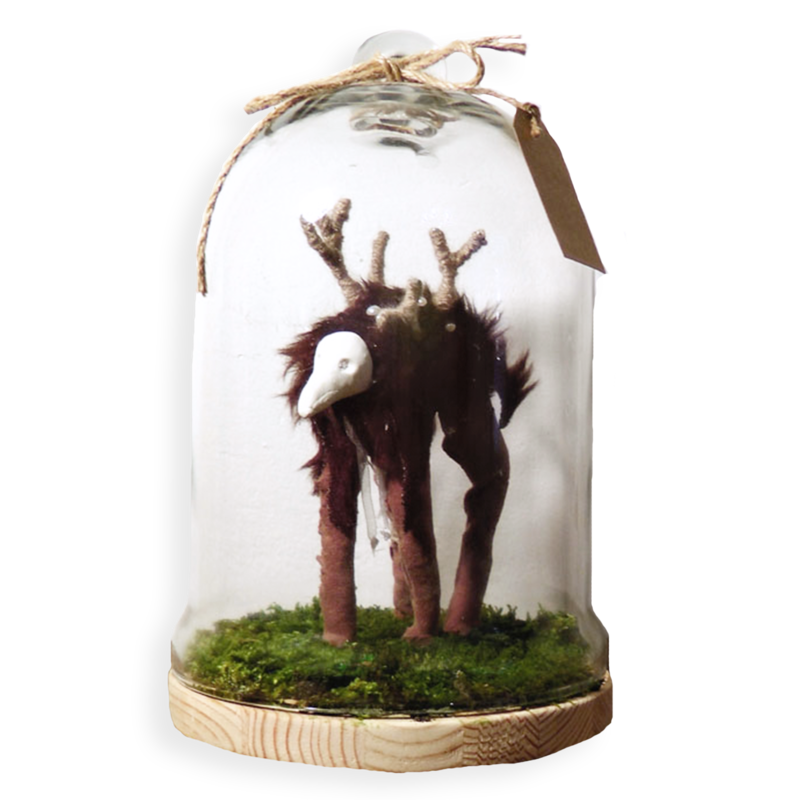 Main materials: Glass bell, wooden base, felt, cotton, moss, paint, clay. All, except for the glass bell, is handmade. Limited Edition.